And that is by having a Sales Incentive for your sales team! When preparing your sales team you will want to motivate them as much as possible, to sell as many products as they can and the best way to do this is for them to know that if they sell a certain amount of products, or if they are the best sellers, they will receive a quality prize as an incentive! It was a strategy that motivated my friends and me when we were kids during a Flower Bulb Fundraiser for our school. The fundraiser was such a success and we raised loads of funds. I also won one of the prizes for best seller, which was another great motivator for me to try just as hard at our next fundraiser. What you will need to do is to decide on how you will award prizes. 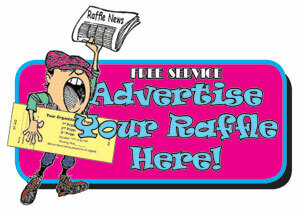 Will you have prizes for your top five sellers, or will you give out a prize for a certain amount of products sold. Once you’ve decided on that, you will then need to go out and find some really cool prizes that your sales team will really want. If they’re average prizes you won’t get as much motivation out of everyone as you would for really great prizes. I would also suggest that at the end everyone should receive some type of prize to show your appreciation for all their effort and help, even if it’s just a small bag of sweets or something! By doing this the whole sales team will feel appreciated, and will be willing and eager to help out again at your next fundraiser! Remember that this is a sales boosting technique that will work so well with kids. Prizes and competitions are the best ways of motivating children to do something! And if the prizes are really great, they’ll do that something really well! So if you’re running a product based fundraiser and need to boost your sales, then I would suggest you offer a sales incentive to your sales team!